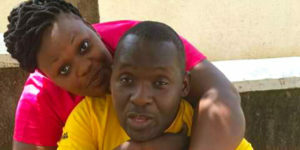 Long time musical couple, Catherine Kusasira and Fred Seruga have finally decided to make things official. The duo, both of the Golden Band Productions managed, have had an on-and-off relationship for close to 12 years. They have scheduled April 20, 2018 for their introduction ceremony and called upon all friends and well wishers to Hotel Africana on March 22, 2018 where they’ll launch their meetings. We wish them the best but hopefully, this time they’ve really made up their minds to stay together.